Smokeless and odourless, charcoal-based moxa cones for hot needling. Must be used with wire baskets. 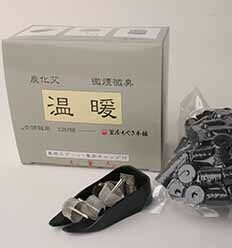 Only suitable for use with Japanese style acupuncture needles with a solid base (and no loop). Japanese origin.